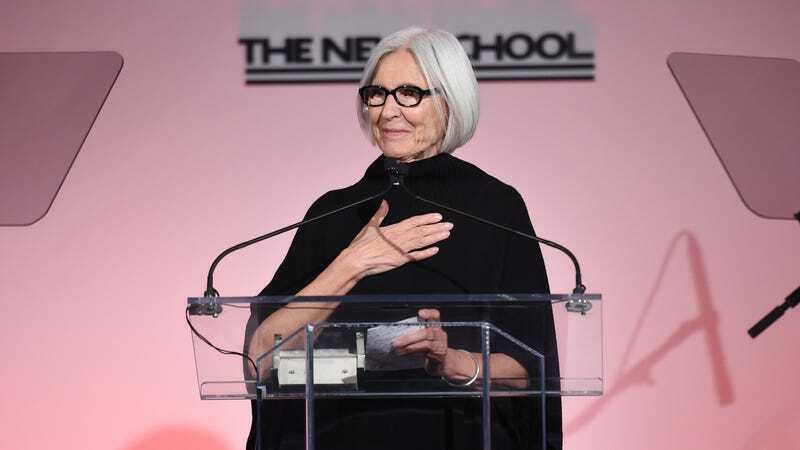 The New York Times recently chatted with Eileen Fisher, founder of the eponymous clothing company famous for strangely glamorous relaxed linen smocks. And frankly, I’m inspired by her seeming lack of attention to the lightening-fast trend cycles of her own industry. Ms. Fisher, 68, offers elliptical, impressionistic answers when explaining her improbable career. She grew up in a chaotic home and worked at a Burger King as a teenager. She moved to New York, but she was inspired by the kimono during a trip to Japan. She bootstrapped her company, caught an early break and has been making the same clothes, more or less, since 1984. It seems like some of the principles you’ve always stood for — sustainability, quality materials — are suddenly in vogue now. I’m really convinced that it works for the business. It engages people and their sense of ownership, and they’ll tell you things. They’ll say in a meeting, “Don’t spend my money on that.” People aren’t happy when they see people wasting money here or there or being extravagant on something. It’s a way we can do our part around this income inequality thing. I think it should be mandatory. I think corporations should have to share a minimum 10 percent of their profits with the people working. It’s not socialism, it’s good for business. It was just Fashion Week. Do you do anything for Fashion Week? Cheers to Eileen Fisher, icon of being yeah-I-said-it years old.